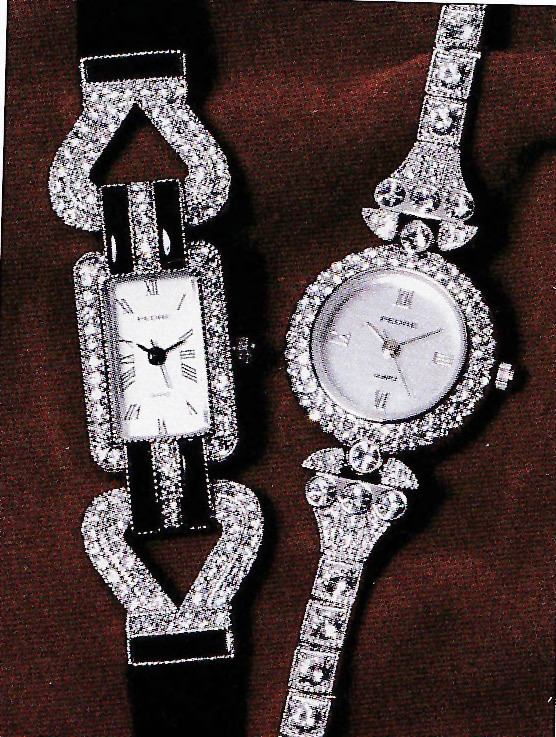 Our eyes lit up when we saw these marvelous Deco style watches, both looking like vintage jewelry. The watch on the left features Swarovski crystals, jet insets, and a suede band. The one on the right is covered in Swarovski crystals, has a rhodium finish and bracelet clasp. Both have quartz movement and come in a hard shell gift box. They make a beautiful and cherished gift for that special woman in your life. Maybe she's you.